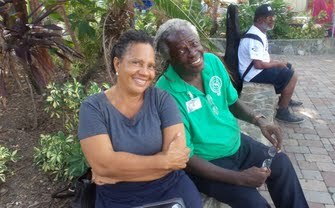 Judi Shimel is a journalist based in Cruz Bay, Virgin Islands, with extensive experience in print, online and radio reporting and news production. Her career began in New York with a community weekly, the Queens Tribune, and WBAI-FM. She pursued the reporting trail through Washington, D.C. with Pacifica National News, then onto to Cape Cod, Massachusetts and later, the Caribbean. Much of the work has been done as a freelance reporter. Clients served include Associated Press, San Juan Bureau, the Virgin Islands Daily News, St. Croix Avis, St. John Tradewinds, the V.I. 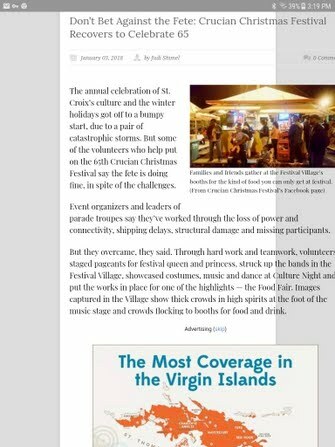 Business Journal, the University of the Virgin Islands, the Virgin Islands Source, Conde Nast,  Ottley Communications, Knight Quality Stations, Ackley Media Group and CBS-TV2. One year after a historic hurricane turned the Virgin Islands into chaos, first responders and others tell stories about the day Hurricane Irma did her worst. 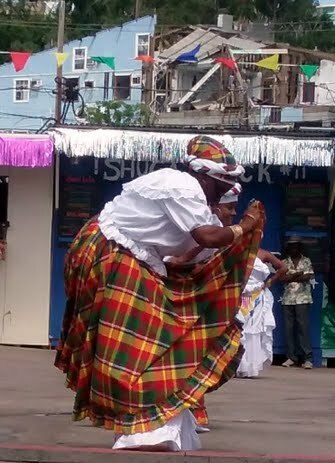 The Caribbean Ritual Dancers perform in Festival Village on the island of St. John on Emancipation Day amid the backdrop of destruction left by Hurricane Irma in September 2017. Emancipation Day is celebrated on July 3, this year marking the 170th year since the then-Danish Governor Peter Von Schoulten declared all enslaved Virgin Islanders were free. At a meeting of oceanographer and research scientists, a weather expert offers a data-driven glimpse of Hurricanes Irma and Maria as captured by devices deployed along the territory's coastlines. Meteorologist Jay Titlow with the group, Weatherflow, has been gathering water, wind and ocean current data in the Virgin Islands for about seven years. 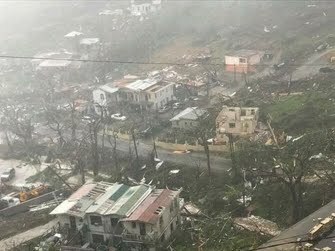 He said the 2017 Atlantic Hurricane marked the first time weather data from the Caribbean was incorporated in information shared by the National Oceanic and Atmospheric Administration. 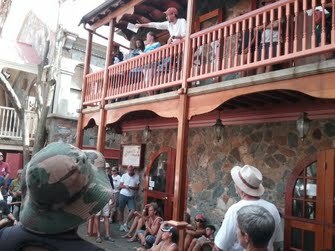 Even an approaching storm could not dim the spirit of VI residents celebrating Labor Day in Coral Bay, St. John. Local organizers held a custom car show, featuring cars, trucks, bikes and sound syatems. Technical problems at the two regular gas stations leave Hurricane stricken residents marching with gas cans to a spot that serves only boats.